2019 Models. Wide stable hull with hard chine design offers unmatched stability, twin plating at the chine, fully enclosed aluminum clad transom, Parallel seats at stern, Durable ribbed polyethylene seat covering, High gloss exterior paint and Anti-skid interior paint finish. 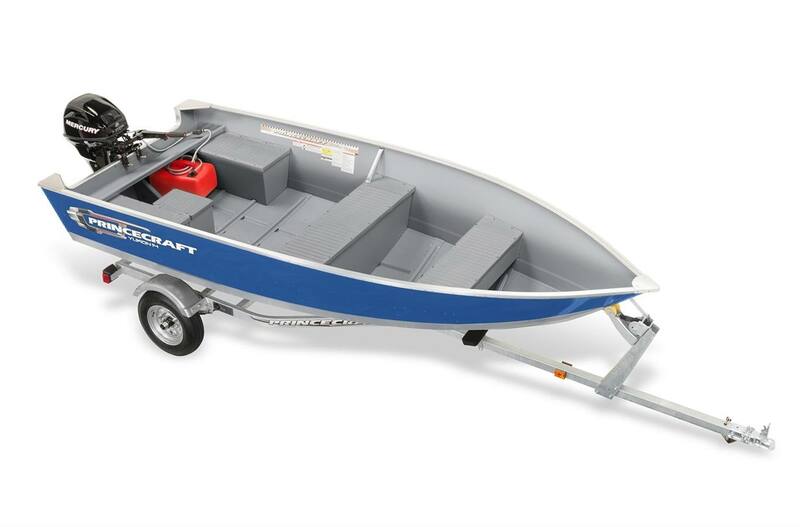 Planes excellent with even lower horsepower outboards... Save when packaged with a Mercury Outboard Motor Mercury 15m 4 stroke and Yacht Club 1612 Galvanized Trailer.